Let’s be clear, Alvin and the Chipmunks: Chipwrecked, starring the voice talents of Justin Long, Matthew Gray Gubler and Jesse McCartney, was never going to be a contender for a Best Animated Feature award. As a result it was with trepidation that I sat down to watch the film. My fears however were unfounded as this film, though by no means a gem of children’s cinema, is neither the disaster one might have expected. Alvin (Long) and his friends Simon (Gray Gubler) and Theodore (McCartney) who make up the all-singing, all-dancing pop sensation ‘The Chipmunks’ along with their back-up girl group ‘The Chipettes’, Eleanor, Jeanette and Brittany (Amy Poehler, Anna Faris and Christina Applegate), are on a cruise with their ‘father’ Dave (Jason Lee). Of course it’s only a matter of time before Alvin is up to mischief, resulting in the team falling overboard and being washed up on a deserted island – which is only the start of their problems! Any adult out there would probably want to hate this film before it even starts – its the kind of thing you are only likely to see if you have kids under the age of five, or watch films for a living. However you shouldn’t dismiss it quite so quickly as, if you’re prepared to switch your brain off for and hour and a half, this loud and brash live-action / animated escapade is actually not that bad. 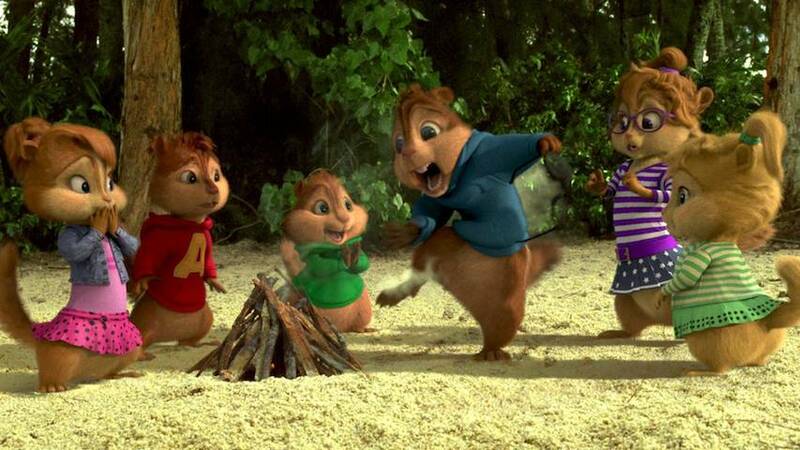 Though Alvin and his friends are the cartoon characters in the film, they often appear more animated than the humans, with a surprisingly good sense of characterisation and depth for a group of cgi rodents. Add to this some catchy song and dance numbers which kids are bound to enjoy and the whole outing is far from being a total washout. The extras, including a interview with the production staff where they discuss the difficulties of working with Alvin and co as if they’re actual humans, are an original and diverting addition to the main feature. Adults are still unlikely to come across Alvin and the Chipmunks: Chipwrecked without the aforementioned excuse of small children or job requirements. But those that do actually might, secretly, enjoy it. I'm a journalist and film critic based in London. I'm currently the News Editor of the Flickfeast film website, for which I also review new film releases. As well as this I review films, do features and interviews and cover festivals for various other magazines and on-line publications. I've created the Screen & Gone blog, so that I can share my thoughts and bring a new perspective to films, old and new, which may have passed you by.